Me, me, me... Great idea anyway! An invite is on the way! Please leave an email address I can send an invite to. I really want to like Google+ but I'm not finding it as effective and a lot of work to move over. And then I have to duplicate the work on FB. What do you think? I think it's got a lot of potential but in my opinion its time has not truly come yet. People are used of Facebook and will take time to switch to the new social platform. Maybe a step in the right direction for Google would be to offer a service which would automatically mirror tweets and Facebook status updates to Google+ platform. People would probably start to appreciate many options offered in the "Google package" after a while. 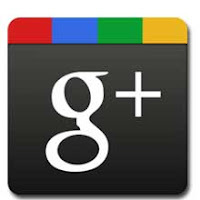 At the moment there is not much going on on Google+... millions of silent users waiting for something to happen. Yep. Also with all the privacy issues FB has, it's another reason to switch. Recently people are finding out FB is publishing all their contact numbers on their mobile even with the sync option disabled. If your concern is privacy, I wouldn't trust Google either. The amount of data they are gathering and a vast number of connections among them are simply enourmous. We should all be afraid of the time when Google decides to go from data gathering phase to taking over the world phase. I might be exaggerating a bit, but then again... something like that might just as well happen one day. I hope I am wrong this time. Big time!